Using Collagen in your skincare routine will nourish your skin and help bring a youthful glow to your skin. There are many different types of Collagen used in skincare and from different sources. Here at SBC, we use Soluble Marine Collagen. Collagen is the main structural protein found in connective tissues in our bodies, comprising about 30% of the body’s total protein content. Naturally produced by the body, Collagen helps the skin maintain its elasticity, keeping it looking youthful. We are born with an abundant supply of collagen, as a baby our skin is plump, firm and smooth. Unfortunately, our body stops producing collagen as early as our mid to late 20s. These degrading collagen levels lead to loss of support within the skin, leading to wrinkles, thinning and sagging skin. 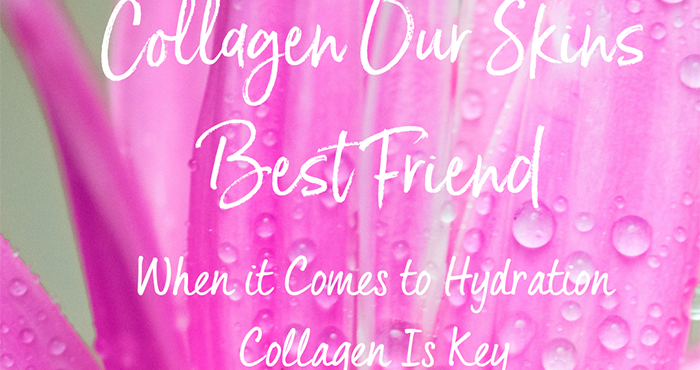 How can Collagen help my skin? Collagen is ideal for dehydrated, dry and mature skin types. Using Collagen on your skin will help increase moisture levels by providing a physical barrier to epidermal water loss. Because of its unique ability to bind water, topical collagen can naturally condition the skin and help maintain moisture levels. Hydrated skin also plumps out the appearance of fine lines for a more youthful looking complexion. Daily expressions will leave their mark on the skin fine lines over time, this added to the inevitable fact of ageing, exposure to the sun and free radical damage; skin does need a helping held. Hydrated skin looks plump, bright and smooth. Ultimately hydrated skin is happy skin! SBC’s Collagen Collection is our ‘hero’ Collection. Formulated with plenty of other nourishing ingredients including Passion Flower Seed Oil, Kukui Seed Oil, Shea Butter, Vitamin E, Squalane and Hyaluronic Acid. Did we also mention it smells divine a zesty citrus infusion. The fragrance opens with vibrant crushed grapefruit, tart apple and zippy orange. Rounded with a sweet and succulent bite of raspberries, cassis and stunning gardenia florals, and finishes with a veil of soft vanilla to close this beautiful aroma. Eye Cream – Collagen Illuminating Eye Cream – tap a rice grain amount around the eye contour – coming soon to a salon near you !!!! Moisturise – Collagen Ultra Rich Cream – as a moisturiser smooth over entire face, neck and décolletage, as an intensive night cream or a mask – apply a generous amount to face and allow to sink in overnight or dab off any remaining excess after 10-15 minutes. 5. Collagen Day & Night Cream – smooth over face, neck and décolleté morning and night. Cleanse – Collagen Bath & Shower Crème – Apply to damp sponge and wash gently as it lathers or add desired amount to a running bath and soak. Moisturise – Collagen Body Butter – Apply daily to the entire body after bathing or showering. Massage until absorbed. With a healthy measure of Soluble Marine Collagen, this signature formula can help soften, hydrate, and smooth skin whist helping diffuse signs of ageing for a rejuvenated, youthful appearance. This lightweight hydrator may be used on its own or to enhance and customise your existing skin care regimes. Simply, smooth over the face and body as a moisturiser. Apply morning and evening on its own or under SBC Collagen Moisturiser for that hydration boost. So, what do you need to do now…. Give your skin the hydration it deserves with the Collagen Collection!